Wow ohhh wow! 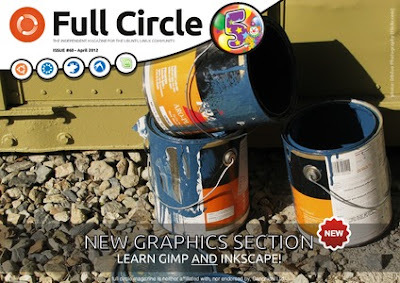 Another month has passed just like that and the newest edition of Full Circle Magazine has hit the “shelves”. Issue number 60 of FCM is the fifth anniversary issue and its worth checking out. * A great new graphics series has emerged! A nice intro into Inkscape and the SVG file format, and the impressive beginnings of the GIMP walkthrough of “Beanstalk”. A definite must read for aspiring artists! * A detailed review of Desura, the linux/windows game distribution platform similar to Steam. * A game review of Trine 2 and another Nintendo emulator called BSNES. * Plus a whole lot more packed into 58 pages of reading! As always you can download the PDF version, but there is now an EPUB version and Google Currents version available.